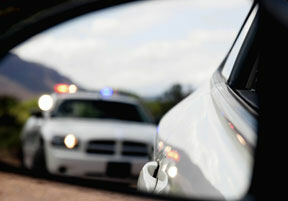 Contrary to common perception, an arrest for DUI need not automatically lead to a guilty plea or conviction. Depending on the facts and circumstances of your case, an experienced DUI attorney Tacoma can explore a number of possible defenses that may create doubt as to the viability of the prosecution’s case. The law proscribes operating a motor vehicle with a BAC greater than 0.08 percent. One problem in making that determination is that a chemical test to measure the BAC of a DUI suspect is taken some time after, often quite some time after, that individual was actually driving. The prosecution’s case largely depends on using the chemical test results to relate back to when the driver was behind the wheel. Science has shown that once alcohol is ingested, the person’s alcohol level rises as alcohol passes through the digestive tract to the blood system. Subsequently, the alcohol level decreases as the alcohol is broken down by the liver. When alcohol levels are rising, an individual is in the absorption phase; when alcohol levels are falling, this is considered the elimination phase. If a DUI test was administered during a suspect’s rising phase, it may be possible to make the argument that the driver’s alcohol level at the time of driving was actually lower than the BAC showed at the time of the chemical test. A rising blood alcohol defense depends on the proof of other facts as well. Typically, evidence that the driver had consumed alcohol shortly before driving and performed relatively well on any field sobriety tests that were administered reinforces this defense. A rising blood alcohol defense is but one option an experienced DUI lawyer has at his or her disposal. For an evaluation of the particular circumstances in your DUI case and an examination of potential options, call Greene & Lloyd PLLC, Tacoma DUI lawyers, at (253) 770-0808. The information on this criminal attorney website is for general information purposes only. The information on this website is not intended to create a receipt . Viewing of this information does not constitute an attorney client relationship.